A wonderful, exciting course! Well worth the money! Do you feel that your family is not what it used to be, or what it has the potential to be? Do you worry that the parenting decisions you're making today may be scarring your child for life? Do you sometimes feel you are in a tug of war with the world over who will shape your child's values and beliefs? Dr. Phil has been working with families for over 25 years to help them repair the fissures that have fractured their home lives. In Family First, he provides a proven action plan to help parents determine the strengths and weaknesses of their parenting style. His 7 Tools for Purposeful Parenting cover the most important elements for any parent: parenting for success -- for the purpose of raising cooperative, caring, and competent children. 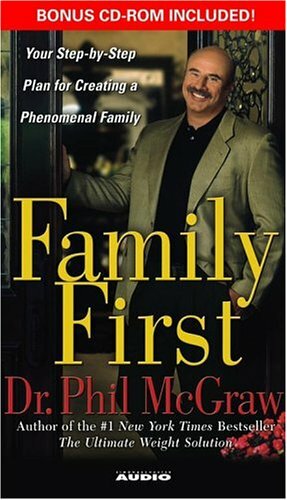 Dr. Phil shows parents how to make changes now -- how to put a stop to your children's tantrums, talk to them about peer pressure or self-esteem, instill values like integrity, honesty, and respect for other people and bring order back to your house. If you want your child to have a happy, fulfilled life, you must open your eyes to the crucial role you play in his or her development. 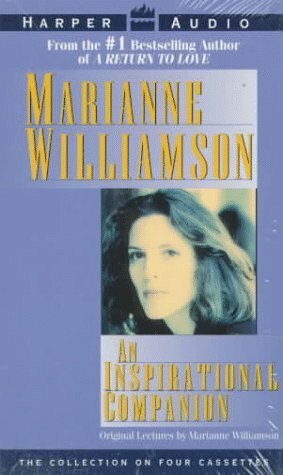 Marianne Williamson's lectures on Hope, Happiness, Miracles, Meditation, Prayer and Spirituality. A continuation of her lectures based on A Course in Miracles. Marrianne Williamson's work is both real and honest. Rather than couch things in a concepts that are alien or extremely religious, she talks to you about the realities of existing. Of how things will not always be easy, about how you will lose your way, and honestly how to see people clearly. Growth is messy, it's not neat, maturity is not easy, nor is spirtiuality delicate work, but with assistance from a tape like this you can see yourself clearly and how to bridge yourself from concept to human to spiritual being. Marianne Williamson has a way of shaking the Universe upside down and letting all the stars fall out and into your heart. She quotes often from "A Course in Miracles," yet this work isn't "sermonious" or demanding. It is nourishing and easygoing. Miracles are to be expected, and forgiveness applies to oneself first. Travel narratives are my favorite genre, and Heat-Moon's classic, Blue Highways, certainly belongs on my short list. 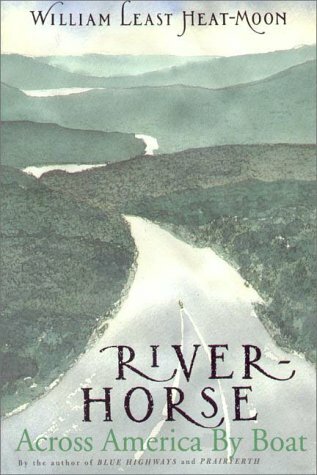 I was really looking forward to River-Horse--another sweep across America, by a perceptive and thoughtful writer and observer. The book has been a disappointment, and though it is worth reading, it is not of the level that I expected from the author. I think the main weakness of the book is that there is hardly any human interaction. The brief encounters the author has with folks along the route really do make them seem like stock characters rather than interesting individuals. The author's wonderful introspection, which enriched Blue Highways so much, just isn't here. At one point along the Ohio River the author has a conversation in a cafe, and rather than relating that conversation, hints that he is saving it to use in a future novel. I felt cheated at that point--here I am, in this book, wanting this adventure to be rich and illuminating. What the reader is left with is a series of historical anecdotes, descriptions of bridges and banks, with occasional comments from his mate Pilotis, a composite of several people (again, an interesting idea, but I found myself wondering at any given section of the trip just who was with WLHM). I really wanted this book to be good, not another Blue Highways, but good all the same, and it just fell short. The third chronicle of his continuing travels of this country, River Horse, William Least Heat Moon's takes us once again along the less traveled path, seeking what is genuine in the American experience. A good writer makes us see the world differently. Whether wandering along a blue highway, trodding along the eastern edge of the great plains, or fighting bars, sawyers and snags upriver, Least Heat Moon turns his trained eye to the things that don't register on our radar as we trudge through our busy days. If you want a reminder of how to smell the roses, read one of his books. In River Horse, Least Heat Moon continues to demonstrate his mastery of the travelogue form, as he plucks the flowers from between the thorns of the American experience. His prose is flawless. It also seems he wants us to learn more about our language; he sent me to the dictionary more than once, looking up Superior Person's words such as: adventitious, ambulant, cormorant, divagation, execrate, indurate, jactitation, omphalos, and striated. Only my OED had the definition for "fulginous." This book is more personal, and more overtly political than his previous work. Corporate America, especially in the West has its tentacles into the political machine and is strangling our land and our waterways. The back of the book has addresses to contact environmental and preservation organizations. Including them is the author's call to action. The warm references to Lewis & Clark confused me, though, as they were the pathfinders for the Corporate raiders of the environment. Moon's strengths lie in moving slowly and looking closely at his subject. River Horse suffers from a deadline, imposed by nature, man, and the author's ambition. I liked Blue Highways more, and Prairyerth much more, partly because of their unhurried pace. I read his books to get back in touch with the details out there in the American experience, the deadlines await me here in the office. Overall the book is pretty dull. In order to liven up sections Heat=Moon tries to get us worried about whether or not he'll hit his timeline or even sink the boat. After a few of these exagerrated concerns are told the remaining ones are not at all believable. Every few pages he also likes to remind us how bad Americans are at keeping our environment spotless and wild. This coming from a man cruising the rivers in a twin engine boat, and on shallower parts even puts a motor on his canoe. This, also coming from a man who would not have gotten past New York if it wasn't for the Erie Canal. Preaching, during a book like this, is normal and expected. He just takes it over the top and by the end of the book I was rooting for another dam to be built. Finally, there are too many stories about himself and how he was feeling and not enough anecdotes about people he met along the way. It's those colorful stories that usually make travel books likes these interesting. "River-Horse" is an OK summer read, but it's written by a Heat-Moon who's changed in the last twenty years, about a different sort of a journey. His motivation has changed from curiosity and wanderlust to a kind of grim obsession with executing a plan. Instead of a shoestring voyage of self-discovery and nation-discovery after the end of his first marriage, the transcontinental boat trip of "River-Horse" is conceived as a well-financed grind so hard that broke up his second. Heat-Moon's connectedness with the small towns he visited is what made "Blue Highways" such a wonderful book, but in "River-Horse" those connections are all but lost. "Pilotus" could have been seven interesting people, but instead is rendered as a somewhat pretentious and preachy amalgam. Sadly, I think "Blue Highways" was a flash in the pan, and the present Heat-Moon will never again charm us in the same way that the past one did. The idea behind this book is fascinating: is it possible to go coast-to-coast by water? What do you find along the way? How has riverside America changed in the interstate highway world? An exhaustive, soul-searching memoir, Bill Clinton's My Life is a refreshingly candid look at the former president as a son, brother, teacher, father, husband, and public figure. Clinton painstakingly outlines the history behind his greatest successes and failures, including his dedication to educational and economic reform, his war against a "vast right-wing operation" determined to destroy him, and the "morally indefensible" acts for which he was nearly impeached. My Life is autobiography as therapy--a personal history written by a man trying to face and banish his private demons. I learned a lot from the stories my uncle, aunts, and grandparents told me: that no one is perfect but most people are good; that people can't be judged only by their worst or weakest moments; that harsh judgments can make hypocrites of us all; that a lot of life is just showing up and hanging on; that laughter is often the best, and sometimes the only, response to pain. However, that same voice might tire readers as Clinton applies his penchant for minute details to a distractible laundry list of events, from his youth through the years of his presidency. Not wanting to forget a single detail that might help account for his actions, Clinton overdoes it--do we really need to know the name of his childhood barber? But when Clinton sticks to the meat of his story--recollections about Mother, his abusive stepfather, Hillary, the campaign trail, and Kenneth Starr--the veracity of emotion and Kitchen Confidential-type revelations about "what it is like to be President" make My Life impossible to put down. To Clinton, "politics is a contact sport," and while he claims that My Life is not intended to make excuses or assign blame, it does portray him as a fighter whose strategy is to "take the first hit, then counterpunch as hard as I could." While My Life is primarily a stroll through Clinton's memories, it is also a scathing rebuke--a retaliation against his detractors, including Kenneth Starr, whose "mindless search for scandal" protected the guilty while "persecuting the innocent" and distracted his Administration from pressing international matters (including strikes on al Qaeda). Counterpunch indeed. Arrived with a Thud, turned into a Dud. If you remember the 1988 convention speech where Clinton was nearly booed off the stage for taking too long or the state-of-the-union where he droned for over 90 minutes, you may recall the feeling you'll get somewhere around page 250 of this tome ... "when will it end?" This particular work of mostly self-aggrandizing fiction suffers from being so self-absorbed and so badly edited it totally detracts from the nuggets of humanity and historical interest in the text. It's the "Heaven's Gate" of Presidential memoirs. That Liberals are dutifully reading this and watching the exposed liar Michael Moore (...) this summer says much about their fanatic religious devotion to their faith. Faith requires suffering! The memoir still whitewashes much wrt Clinton's 'scandalabra', even while admitting to the bare minimum to keep it credible to the faithful. So we get Monica semi- mea culpa, but what about Genifer Flowers (she claimed a 13 year affair), or his pardon of Marc Rich? Or for that matter *important stuff* like how the Chinese managed to funnel illegal funds to his campaign in 96? Maybe its too much to expect an exhumation of his skeleton closet, but he manages to say so much yet reveal so little in so many pages. And he's entitled to his own opinions about other folks, but his view on Starr and the constitutional issues and process involved in the impeachment show he is trying to re-write history and doesnt understand Starr's appropriate role and actions. He doesnt get it - it was about lying under oath. Dont read this. Read the Marinass bio and read Rich Lowry's "Legacy" and somewhere in the middle of their accounts is what really happened. Lastly, read U.S. Grant's memoirs, the best Presidential memiors, writeen before Presidential memoirs were excercises in self-justification. They have all the economy and sparseness in style, bright narrative, and objective viewpoint that Clinton's memoirs lack. And he recount events far more important, like how the Civil War was won by the Union side, than details of Clinton's campaign events. I approached the book as though it was written -- not by a former Democratic President -- but a man with amazing life experiences. The insight the author provided on the workings of the executive branch of our government, along with international events were just icing on the cake for me. The writing is very easy to read; the story flows smoothly. All in all, I enjoy the voice that is projected from the author's composition. 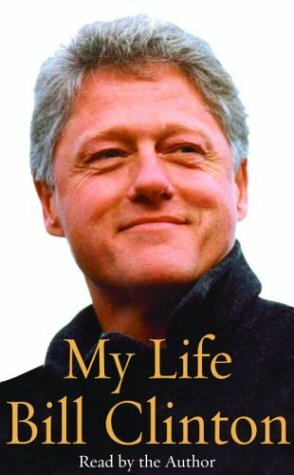 I found it interesting that on page 811, when Clinton was introspective about his affair with Monica, his revelation is that he is vulnerable to making selfish and self-destructive personal mistakes when he is exhausted, angry, or feeling isolated. This mirrors the 12-step recovery motto of HALT (hungry, angry, lonely, tired), which recognize our vulnerabilities to succumb to our addictions. I must say that Clinton's description of sleeping on a couch for two months following his admission to Hillary regarding Ms. Lewinsky was hard to believe. Perhaps he was placing himself in the doghouse, making use of the couch adjacent to their bedroom, but still -- there were so many other bedrooms in the White House. Aside from that, I'm glad Clinton disclosed that he and Hillary participated in weekly couples counseling for a year. My favorite parts of the book cover Clinton's reflections on family, friends, and associates who passed away. This is where he shared personal thoughts on the affect these people had on him, and how he mourned their deaths. This book will intrigue anyone who cares about America. You get an insider's view from the divisive man himslef. You'll also learn the struggles all presidents must face, and the role the media played in helping and hurting Clinton. In 2001, William Jefferson "Bill" Clinton exited the White House after becoming the first two-term Democratic president since Franklin Delano Roosevelt. Instead of praise for surmounting numerous and incredible life obstacles, his rags-to-riches personal life story actually had the right wing seriously enraged enough to attempt a sham impeachment and conviction on anything (and EVERYTHING) they thought up. The reception discrepancy between his personal history and presidential administration is painstakingly explored in the personal autobiography---with no detail spared. I am not fortunate enough to live near a city where Clinton undertook book promotion tours, but this title's price vs. length and quality is well worth those televised all-night camp outs. Eschewing a ghost-writer, Clinton personally poured his heart and mind about personal and potentially difficult subjects which former presidents (of all ideologies) shielded themselves from. Choosing the less-utilized "open disclosure" route is a refreshing contribution to American public policymaking. It is also one which more public officials should follow. Rather than seeing diversity as an election strategy, Clinton genuinely appreciates social justice movements which attempt to make the world radically different from his Arkansas boyhood. In the television era's early days, then-Governor Orval Fabus tried to maintain segregation 'standing in front of the schoolhouse door' to Little Rock's Central High School (pp. 38-39) Undoubtedly this incident's horror (and fears that all southerners were presumed to agree with Faubus) helped solidify determination to pursue a radically contrasting racial public policy legacy (pp. 559-560). In turn, Clinton's early decision explains why I and many other people love him today. Repeatedly, Clinton draws upon his witness to the 1957 Little Rock action as one motivator for public service (the other of course is meeting President Kennedy at a D.C. Boys Town Summit). Because I am also growing up in a conservative southern town, I am comforted things do change; a young Republican who openly cheered during the announcement of President Kennedy's assassination later became a Democrat, social worker, and one of Clinton's biggest political supporters (p. 65). The bigger person recognizes when it is time to mend the oft-mentioned political fences. During his Arkansas Governorship Clinton demonstrated the nation only maximum potential when all demographics are empowered to participate in the American dream. As the first president to be in the delivery room during his child's birth (p. 273), Clinton brought unprecedented sensitivity to the Oval Office. Because the lives of American voters are more egalitarian, this empathy is a definite asset in the post-cold war era From his own personal experiences, Clinton easily understands that good and strong families come in all compositions (pp. 426-427). I was also intrigued to learn that Clinton did not personally/politically have a problem with Hillary's last name (p. 296). Finally, "women's issues" like the Equal Rights Amendment (p. 257) stand on their own merit as something which is genuinely important to HIM. Certainly people have to take self-initiative for their private life, but Clinton's centrist Democratic theory (dating from Robert F. Kennedy's 1968 presidential campaign) says that government is still obligated to ensure the people trying to help themselves and their communities can actually do so (p. 122). This approach explains why he signed the Personal Responsibility and Work Opportunity Reconciliation Act of 1996 ---overhauling the depression-era welfare system, while also rejecting the complete dismantlement passionately championed by Republican opponents. Aware that welfare payments had varied by state and women were not getting rich anywhere, Clinton also knew the current system had intentionally built-in incentives for women to stay at home instead of work. Welfare was initially developed so low-income women would not 'deviate from 'traditional' homemaker roles and could also stay at home with their children like many other women of the time. Clinton purposefully attempted to allocate enough money and resources for childcare so low-income women would not find themselves in a horrid catch-22 situation of wanting to work but not being able to find affordable, safe, and reliable daycare for their children (pp. 720-721). Before entering elected office, Clinton taught college classes at the University of Arkansas and the professorial enthusiasm (pp. 204-205) required for that task is especially obvious today as the lessons he taught to and learned from the students are recalled. I can easily imagine myself as a student in the class while he is racing up and down the auditorium steps exhorting us to become even more involved in the larger world (p. 203). Because they cannot realistically be confined to a classroom, such individuals were predestined to have a tremendous impact on the larger world. By showing a less serious side of the Clintons which is not always discernable from the media, the enclosed photos reinforce this aforementioned environment. Conceding that his personal actions damaged the family (p. 800, p. 811), he avoids a holier-than-thou attitude which ruined many other political careers. Clinton succeeds at the American Dream because he already knows and easily accepts his imperfection. He is so personable that even when I disagreed with Clinton's policies, myself and others always knew that he would not attack dissenters on trumped up charges. Instead, Clinton's enduring personal patience (he appears far more patient than he has given himself credit for) and boundless optimism for the nation consistently shine throughout this book. By nature, genuine sentiment cannot be slick. This book is a mandatory purchase for the Clinton fan---or anybody preferring a time when the United States president was respected for unflagging civility in the face of adversarial circumstances that had grounding lesser politicians from all levels of government. Unfortunately, like Hillary's autobiography (2002), the author's relative chronological youth in relation to his numerous public accomplishments means that another edition or volume will eventually be required for adequately chronicling all of the national/international contributions. Even at 957 pages, fitting all important information into one volume is impossible. I look forward to purchasing future editions of this biography. Most who are familiar with the Bible are not familiar at all with the content of the major and minor prophets. The emotional impact of hearing the book of Ezekiel--especially in one sitting, which this set makes not only possible but enjoyable--is rather strong. In fact, it got me kicked out of my church, because the prophets give a sense of the extreme condition in which God finds us, and I applied it to Christendom. In this day of "luke-warmness", that did not go over too well : ) Having this set on tape gives us opportunities that otherwise simply would not be there for getting the "sense" of what's in the most-admired and least-read book in the world. I'd advise buying it if you're in doubt. This set of tapes has served me well. I listen to them in the car. I read the Bible every day, and I enjoy being able to listen to the Bible as well. I feel that the Bible is God's word, and God is the only One that can provide security and salvation for mankind. God's plan for the earth is in the Bible. The Bible is more than a history book. Scourby provides a good voice to listen to. I highly recommend this set of tapes for anyone who enjoys listening to books on tape. Always "Gentle on the Ears"
The Pulitzer Prize-Winning Bestseller by the author of DREADNOUGHT. Against the monumental canvas of seventeenth- and eighteenth-century Europe and Russia unfolds the magnificent story of Peter the Great, one of the most extraordinary rulers in history. 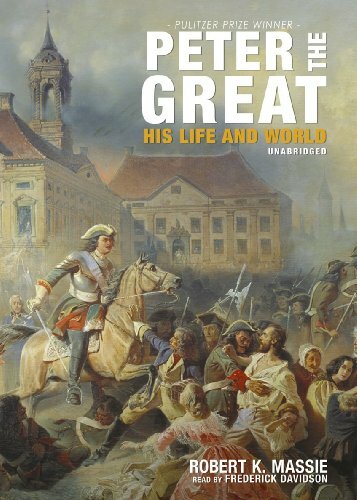 Impetuous and stubborn, generous and cruel, tender and unforgiving, a man of enormous energy and complexity, Peter the Great is brought fully to life in this exceptional biography. A thoroughly enjoyable read, Robert K Massie superbly captures the mood of the man, his dreams, his times, his country, his friends and enemies and the people around him, and about all that can be expected in the scope of a magnificently written biography. This book reads lake an historical fiction novel, and yet Massie's sources make it clear that where it counts there is very little fiction about it. It is a wonderful read for anyone interested in the man who did so much to shape the course of modern Russian history, or otherwise anyone interested in this part of Russia's history in general. Of course, being a biography, there is little discussion on the plight of Russia's peasant majority, and at times it is almost tempting to empathise with Peter in his frustrations whilst forgetting that often countless peasants' lives were being ruined. However, accepting that it is inevitably biased towards Peter, this book makes for a marvellous history. Like any great fiction writer, Massie gives fascinating backgrounds on many of the characters central to Peter's existence, from the hardy foreigners who helped shape his early years and his passion for the seas, to his eventual arch nemesis, Charles XII of Sweden. The result is a fascinating read that is lacking in no criteria but where excitement and adventure are especially abundant. To popularize the history surrounding Peter I of Russia is no mean feat. In fact, to popularize history at all leaves most historians at a loss. What is meant by "popularizing" in this instance is the accomplishment of mutating true history (with the attention to accuracy and research that is necessary) into a dramatic format that appeals to those outside the sphere of the scholarly historian. The author succeeds in this endeavor beyond all expectations. Massie, who studied modern European history at Oxford as a Rhodes Scholar and has published three best-selling books on Russian history, has captured the "triple crown" with this work: (1) he provides accurate, even-handed, and exhaustive detail (2) about a compelling historical figure (3) in a suspenseful and enjoyable writing-style. The book opens with a stunning description of Moscow at the time that Peter's father, Alexis, ascends the throne. Adequately placed in this rich setting, the author takes us through Peter's childhood. Massie argues that the future Peter was brought into existence by the fortuitous fact that he was not the first in line for the throne, and therefore was not leashed by the upbringing expected of a future Tsar during his minority. Peter was free to eschew the religious and scholarly training that was given to his older half-brother Ivan V in favor of the practical trades and skills that became his (and therefore, his country's) life-long interests. There are many examples within the work that illustrate Massie's balanced handling of historical contradictions. One example that is indicative of this is the description of Peter's half-sister and regent Sophia. Conventional wisdom labels Sophia as ambitious, ruthless, and more like a man than a woman in both temperament and appearance. In his memoirs, a French ambassador calls Sophia ugly and fat, with hairs on her face and tumors on her legs. Massie reasons how this was probably not an accurate portrait of the woman. First, the French ambassador visited Moscow during the end of Sophia's reign, when Russia had aligned itself with Austria, France's enemy during that time. Secondly, the author is skeptical that the French ambassador would have ever seen Sophia's legs to make such an observation. And lastly, Massie argues, if Sophia had been so hideous, other visitors to her court would have certainly said so, and there is no other account in existence that describes Sophia in such a way. This is an illustrative example of the even-handed manner in which Massie handles all people inhabiting Peter's world, with an exhaustive examination of the evidence, but also with a firm grasp on how primary sources can be skewed for other purposes besides historical accuracy. The "meat" of this 900-page epic centers around The Great Northern War, as it should, since the majority of Peter's reign was spent overseeing this monumental conflict. The middle-third of the book is by far the most entertaining, as Massie expertly builds a slow crescendo of suspense that explodes at the Battle of Poltava, perhaps the single-most important event in Peter's reign, both for Russia as well as for Sweden. Massie gives a sizeable helping of information concerning Peter's counterpart Charles XII, as equally compelling a figure as Peter himself. In fact, the work bounces back and forth between the Russian and Swedish camps during this conflict as effectively as any Tom Clancy novel. But it is not just the generous treatment of Peter and Russia that makes this such an excellent work. We meet all of Peter's contemporaries, including Leopold I of Austria, Louis XIV of France, William of Orange, Augustus I of Poland, Frederick William I of Prussia, and the many sultans (and their viziers) that ruled the Ottoman Empire. These personages are introduced within their historical contexts, with a concise exposition of their countries and recent histories. (Massie spends eight pages describing Louis XIV and Versailles for the reader, even though Peter never actually meets the Sun King and does not travel to Paris until the reign of the boy-king Louis XV.) These peripheral details make the work entertaining to the casual reader and, at the same time, invaluable to the novice historian. The most moving episode comes toward the end of the book with the description of Peter's relationship with his son and heir Alexis. Massie leans just a bit in the direction of Alexis as the sympathetic figure in this drama, but refuses to speculate about the mysterious circumstances surrounding Alexis' death in prison after he had been sentenced to die for treason. (Some believe that Alexis was killed in private to spare Peter the infamy of publicly executing his own son.) This is another example of Massie's even-handedness; the evidence either way is not there, and Massie does not invent it nor does he extrapolate false conclusions. In the last paragraph of the book, Massie furnishes his conclusion concerning his subject: "[Peter] has been idealized, condemned, analyzed again and again, and still ... he remains essentially mysterious. One quality which no one disputes [however] is his phenomenal energy. He was a force of nature, and perhaps for this reason no final judgment will ever be delivered." The judgment made here, however, is that those wishing to learn more about Peter and his world could hardly begin in a better place than with this enjoyable epic. There are a handful of biographies that simply stand apart from the crowd as true masterworks; this is one of them.Massie captures the essence of Peter the Great, engagingly telling the story from Peter's childhood so we can understand the psychological forces that pushed and pulled on the man. In addition to revealing the man the was Peter the Great, Massie captures the age in which Peter lived, illuminating for the reader many of the characters that defined the age in Europe including Augustus II, King of Poland and Frederick Wilhelm I, King of Prussia.In particular, Massie focuses on Charles XII of Sweden, and Peter's arch-rival to the extent that the book almost serves as a dual biography. Fantastic stuff - highly recommended. BEST BOOK I EVER READ!! I majored in Russian History in college, so I've always had an interest in the subject and always intended to find a good book on Peter the Great.This book far exceeded my expectations.Not only is it a fascinating, in-depth portrait of one of the greatest leaders in Russian history - it succeeds on every level as a compelling read, whether you're interested in Russian history or not.Massie is a masterful writer - providing all the context information you need to fully understand the specifics of Peter's life and reign.Every stage of Peter's life is gripping, from the story of how he wrested power from his half-sister Sophia to his military battles against Sweden. (I'm not even interested in military history, but during the war chapters, my heart was pounding as I read his recounting of each battle! )Not only is this the best book on Russian history I've ever read, it's the best book I've ever read!It's a real page-turner, and that's saying something as this book is over 800 pages long! Is IQ destiny?Not nearly as much as we think.This fascinating and persuasive program argues that our view of human intelligence is far too narrow, ignoring a crucial range of abilities that matter immensely in terms of how we do in life. Drawing on groundbreaking brain and behavioral research, Daniel Goleman shows the factors at work when people of high IQ flounder and those of modest IQ do well.These factors add up to a different way of being smart -- one he terms "emotional intelligence. "This includes self-awareness and impulse control, persistence, zeal and self-motivation, empathy and social deftness. These are the qualities that mark people who excel in life, whose relationships flourish, who are stars in the workplace.Lack of emotional intelligence can sabotage the intellect and ruin careers.Perhaps the greatest toll is on children, for whom risks include depression, eating disorders, unwanted pregnancies, aggressiveness and crime. I read this book in 1997 and was fascinated with the content, especially information about "flooding" ie. when we are emotionally overloaded and we can't respond effectively. I was also particularly interested in Dr. Goleman's research into the components of emotional intelligence -- self-awareness, impulse control, persistence, zeal and self-motivation, empathy and social deftness. Dr. Goleman explains what happens to us neurologically when we experience emotions and why emotional intelligence is important. After reading his book, I was left with questions such as, "What do my emotions mean? How do I deal with my emotions when they occur?" These questions are specifically answered in Optimal Thinking: How to Be Your Best Self by Dr. Rosalene Glickman. Dr. Glickman explains why and how each emotion is experienced, the messages they bring, and questions to ask yourself and others to best resolve emotions and achieve emotional mastery. In my opinion, these books belong in every family and in every workplace. This ground-breaking book proposes that emotional intelligence is a learned ability that is as much or more important than basic intelligence and should be part of our schooling just as reading, writing and arithmetic. The author sets out new scientific evidence showing, step-by-step, how healthy emotions and destructive emotions control our lives. Feelings often count as much as logic, and we have gone too far, says Dr. Goleman, emphasizing the purely rational, when emotions are so powerful. All emotions are an impulse to act; the creation of instant plans for handling a life situation. Now we know in detail how emotions prepare the body for differing responses. A human being is made up of two minds according to Goleman. One thinks, and one feels; two fundamentally different ways of knowing. The author defines emotion as "a feeling and range of propensities to act." The principal emotions are: Anger: Fury, outrage, resentment. Sadness. Grief, sorrow, cheerlessness. Fear. Anxiety, apprehension, terror. Enjoyment. Happiness, joy, delight, amusement. Love: Trust, kindness, devotion, infatuation. Surprise: Shock, amazement, astonishment. Disgust:	Contempt, scorn, abhorrence. Shame: Guilt, embarrassment, remorse, humiliation. Various emotions have various physical effects on the body. Anger, for example, causes blood to flow to the hands; strong energy for vigorous action. Fear causes blood to flow to the legs making it easier to run. Happiness is a positive emotion that provides readiness and enthusiasm. Surprise makes it easier to figure out what's going on and create a plan of action. Sadness helps adjust to a significant loss and brings a drop in energy and enthusiasm. When emotions are out of control, the emotional mind takes over and swamps the rational mind. Emotions have a mind of their own and can hold views independent of the rational mind. Goleman names five main domains of emotional intelligence: (1) Knowing one's emotion (2) Managing emotions (3) Motivating oneself (4) Recognizing emotions in others (5) Handling relationships. A most important emotional lesson, of course, is anger management. As a culture, we have not bothered to make sure children are taught the essentials of handling anger or resolving conflict. These and other fundamentals of emotional competence have been left to chance, says Goleman. Surprisingly, the emotional mind is far quicker than the rational mind and springs into action without considering consequences that may prove to be mistaken or misguided. Scientific findings indicate we often cannot control emotions. What's more, the emotional mind takes its beliefs to be true, discounting evidence to the contrary. That's why it's difficult to reason with someone who is emotionally upset. A familiar husband-wife emotional story: Wives, it seems, are the emotional managers and as such, are more likely to criticize husbands. Men are more likely to be stonewallers. Wives try to bring up and resolve disagreements. Husbands, on the other hand, are reluctant to be drawn into arguments. As a wife sees her husband withdraw from a discussion. she increases the volume and intensity of her complaint white he becomes defensive or stonewalls in return. She becomes contemptful, frustrated and angry; the husband feels more and more an innocent victim. As husbands stonewall, the wife feels completely stymied. The author calls this psychological impasse "flooding~~ and points out that flooding escalates, often going out of control. There is ample evidence of growing emotional recklessness in the wortd, the author points out, and makes a strong case that it is critical to teach emotional competence to children as part of their education. 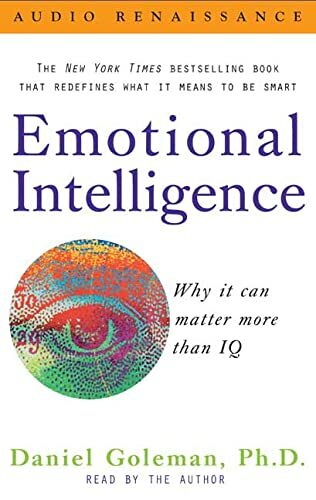 The importance of emotional intelligence was proven to me early on in this book, especially with the author's neurological explanations of the brain. Daniel Coleman used a variety of approaches to prove the importance of emotional intelligence including: neuroscience, biology, and case studies. Yet, some of the directions the author chose to take lost my interest. The case studies could have been abbreviated and maybe the classification of emotions could have been expanded on. The book demonstrated the dire consequences of not learning emotional intelligence and sometimes used extreme examples which seemed unnecessary. However, this pioneering book (albeit somewhat outdated) deserves attention. For me the book started well with references to Aristotle's "Nicomachean Ethics," making a connection between the wisdom that Aristotle exalted and emotional intelligence. The book went on to explain how the physical components of the brain affect emotional behavior; here the amygdala is explained, which is the control center for emotional behavior, and is referred to throughout the book. This biology and neuroscience clarified how rudimentary emotional behavior is in the human brain. In part three, the author showed progressive thinking in his belief that the medical profession must consider emotional factors. Since the book's publication, medical schools have agreed with him. On June 10, 2004, the Wall Street Journal reported that graduates from all 126 medical schools in the U.S. will take a standardized test that will rate "bedside manner." According to the article, this test will "gauge what multiple-choice questions cannot: a graduate's ability to communicate with patients..."
In parts Four and Five my interest waned as the author discussed how emotional training can save society. Although the author suggests key improvements to pedagogy, the case studies and extreme examples of what can go wrong with the emotional brain belabored the topic for me. Post Traumatic Stress Disorder is closely analyzed, as is trauma, abuse, and bullies - all valid areas for discussion but beyond what is needed for demonstrating what emotional intelligence is and why it is important. Violence, social aggression, and certain neuroses resulting from emotional problems could have been explained in a shorter section. But the author deserves credit for offering solutions, and has an interesting theory that modernity is the cause for a worldwide trend of melancholy. I would have liked more of the book devoted to the challenge of defining emotions. Of interest to me was Appendix A because it revealed the classification attempts made for emotions. The section considers a handful of "core" emotions with all other emotions being a blend of these; there also might be families of emotions with many nuances affecting moods and temperament. This book reveals a big-picture outlook of the human brain and the emotional activity that is an intrinsic part of it. The thesis that emotional intelligence can be more important than IQ is well supported, but the author is not saying that it is necessarily better! (Previous reviewers of the book have created an EQ-versus-IQ contest.) Both are critical facets of intelligence that must work together and neither can be dismissed. You have to try the Emotional Intelligence PowerPoint! I bought the book along with the recommended Emotional Intelligence PowerPoint, which is just a terrific resource! It's a complete presentation on emotional intelligence (which saved me a lot of work) but the great thing is it plays movie clips right from the presentation to illustrate each of the emotional intelligence skills. My audience really grasped the concept and was entertained enough to give me 100% of their attention for the full hour. Really great! Most of the great industrialists had one thing in common; they were able to give credit where credit was due. This is a lost art in the management of humans in today's concentrated environment that depends upon statistics and numbers. No man or woman ever created a number that wasn't backed by the self discipline that enabled him or her to give the level of commitment that came with the desire to give that commitment. If they do, they fall upon deaf and dumb hearts, and are bound to be used for different uses than the ones intended. Passionate commitment is the only thing that ever changed a life, or lives, and the main thing that determines success that might be predictable. Without commitment, marriage fail, even if they appear to work. Without commitment, incentives are little help to the people trying to use them to create wealth, for themselves or for others. Negative commitment alway works worst to produce desirable outcomes because they never carry a reciprocal commitment to get the job done, and to do it well. The pride of passion and success is the single most important component of a job well done, and a job well loved, by which great things are made possible because of the commitment brought to the job, that is felt within, and rarely without the internal commitment that defines and fuels the task to be done, often with a sense of vision for accomplishment as well as for the harmony that enables teamwork to exist that relies upon it, as opposed to the tyranny that sometimes fuels efficiency and completion of tasks that may be unpleasant but necessary to be done. A positive outlook is essential to most quality jobs and often underestimated in its power to create powerful results. Among groups, failure to recognize credit where credit is due destroys more groups than not, and strains the ones where it is not present. Groups break down at varying levels, but almost always at the lower levels from the negligence of the upper levels to give that due credit, and to respect its presence as important to any organization. Failure is always a managerial negligence, and false rewards are immediately noticeable to the participants of any group because they deal daily with the results of performance that would be the criteria by which management determines successful performance to offer those rewards. Underlings usually know the score, and often better than management because of its isolation. Misplaced credit is as damaging to organizations as those where it is non-existent since it destroys not only faith but also integrity. May be we got adopted to Future Shock.We understood the Third Wave logicto avoid linear questions and expect linear answers. This is a part of trilogy beginning with Future Shock and Third Wave. It addresses some very specific trends at micro level; at the personal level; of Power shifting towards us and slipping away from us; in ways we can only hope to understand. How the composition of power changes and what are the implications for us? Future Shock addresses the dilemma of an individual caught in a vortex of rapid and accelerating change.Third Wave places the individual in a historical perspective.This book addresses questions of survival in an era where third wave is no longer a distant future. Get your kids' cooperation...without arguing. Morning hassles and bedtime battles disappear when you apply the communication techniques these experts have been teaching parents nationwide. Even if you've felt you had no other alternative than to lecture or criticize, you'll be able to reduce the wear and tear on yourself and your family with this practical program. Adele Faber and Elaine Mazlish -- once frustrated mothers themselves -- use real-life situations to show how you can respect and respond to your child's feelings and satisfy your own needs. See immediate changes in your relationship with your children -- changes that will mean the difference between bad feelings and good ones; between fighting and loving. I just read this book and -- though it it's right on the money in its attitude towards childrearing -- it doesn't describe the mechanics of how the "listening" and "talking" skills work as well as Thomas Gordon's Parent Effectiveness Training (P.E.T.). P.E.T. 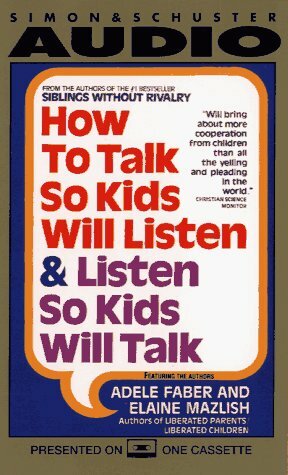 has a chapter called How to Listen so Children Will Talk and another called How to Talk so Children Will Listen. I wonder how the autors of this book got away with borrowing the title for their book straight out of some chapters in another (the original P.E.T. was published years before -- the one at stores now is a new edition). Lest it sound like I'm slamming this book, truth is it's not a bad read at all. But for an in-depth explanation of how these skills can be put to daily use, I'd go for P.E.T. Better yet, read both. Even better yet, first read Emotional Intelligence by Daniel Goleman to get an idea WHY these skills are so important to a child's development, then follow it up with P.E.T. and this book. I thought this book might be about how to use praise and language to avoid facing discipline issues with children but it is not like that at all. It teaches parents to be authorative and send the right messages without micro managing their children. The suggested changes are fairly straight forward and common sense, but may require some practice. Fortunately thare are many well illustrated examples and practical exercises to reinforce these ideas. This book stictly sticks to the topic of comunication and establishing cooperation which makes it an excellent supplement to any parents existing parenting style. Teaches mutual respect without surrendering parental authourity. A very good read. I feel this should be required reading for parents (and people in general). Easy to read. Great concepts. Great examples. And just as importantly, the tone is very respectful of the parents (so many of the other books on this topic tend to talk to parents like they don't get it...). I recommend it heartily. Talking To Feelings With Just the Right Words...WORKS! Although this best selling book was originally written more than 20 years ago, I find the advice and specific suggestions extremely on target in 2004. The main strategy that has made such a positive difference in my life is to acknowlege my child's feelings before I give the direction for compliance. Most of the time, I do try to give well-meaning, honest (not always calm) responses to my 3-year-old that unfortunately sometimes escalate into a raging tantrum or no win power struggle such as in the following example at bedtime...My son announced, "I'm really scared of the big closet monster, Mommy." I responded honestly, "There's nothing to be scared about, there is no such thing as a real monster. Monsters are just make believe. "...This conversation was followed by a long screamimg and kicking fit from a very tired, frustrated little boy. Now I have learned that by calmly talking to my son's feelings first, he knows that his point of view is understood and important to me. Then I have a better chance of getting him to stay in his bed. Because I chose to validate his feelings first, I got the cooperation I was after. I learned to say, "I see how worried you are...I've got a great idea...I'm getting the broom out to sweep the entire floor including every corner of your closet to make sure nothing is hiding in there...OK, it's completely empty, honey...only clothes in here. Hop in bed and I'll rub you back before our special good night kiss." ...It worked like a charm! I also highly recommend another newer pocket-sized book to accompany this classic tome called "The Pocket Parent." 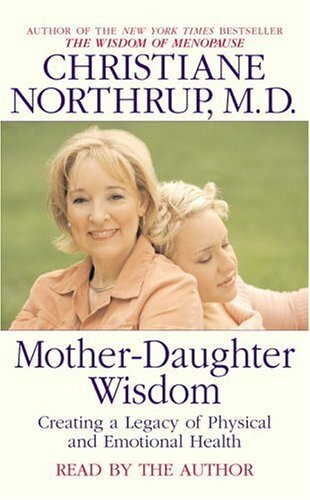 It is based on the very same philosophy of Haim Ginott and is chock full of hundreds of quick read tips and funny, true, short anecdotes from moms and dads relating to the challenging behaviors of 2-5 year olds (anger, bad words, bedtime and mealtime refusals, sibling fights, interrupting, whining and many more). These 2 books have taught me and my husband so many techniques that have worked at least once. We continue to refer to them for specific sensible strategies (including the exact words to try on our son). We appreciate the upbeat tone and great sense of humor of both books. Additionally, FYI...both parenting books have been translated into Spanish and are both available through amazon.com. Effective communication is the foundation of good parenting. This book has practical, easy-to-implement techniques to improve your communication with your kids. The format is such that busy parents can pick it up and read briefly, yet still come away with a couple useful ideas to put into play right away. It is written in themed sections and there are cartoon scenarios to illustrate exchanges between parents and kids. The cartoons show things going poorly and then a better way to approach the exchange. At the end of each section, a one-page box sums up the techniques described, along with a real-life example of each principle. Authors Adele Faber and Elaine Mazlish worked with noted child psychologist Haim Ginott. In running parenting workshops utilizing Ginott's ideas, they accumulated lots of great real-life stories from parents that they use to illustrate their advice in this book. The content of the book is based on the themes that emerged from their parenting workshops, and thus resonates well with parents who want practical, straight-forward advice. Improving your communication with your children will help you to get them to do what you want them to do; to understand better how they feel about things; to help them become more responsible; and to get them to talk to you--a real key as your child grows older and enters the teen years. Congratulations on your selection of this Pimsleur Language Program. Learning to speak a language has never been easier. The Pimsleur Language Programs, using the world-renowned method of Dr. Paul Pimsleur, will soon have you speaking the language of your choice. This series of thirty minute lessons enables you to learn comfortably and conveniently at your own pace, and achieve measurable results. Great Method But. . . I have sung praises for Pimsleur language tapes/CDs both on Amazon and elsewhere on the net for many years now. I know of no other self-teaching method that gets you up and running in a foreign language so effectively. Indeed, I have completed their full courses (i.e., 3 unabridged volumes) in French, German, Spanish, and Italian as well as their mini-courses in Thai, Hindi, and Czech. The Pimsleur Mandarin series is excellent, as usual. However, in working with this current series I am reminded once again of a major limitation that never fails to frustrate me. I refer to the basic working script. This differs slightly in content and emphasis from language to language, but is roughly the same throughout all the unabridged courses. My fundamental problem with all the Pimsleur scripts is that they seem to be oriented toward a (hypothetical) individual working in a foreign subidiary of a multinational corporation. I consider this a problem because it emphasizes social niceties and water-cooler talk instead of practical on-the-ground vocabulary. I mean, sheesh, shouldn't I know the words for east, west, north, and south by lesson 20 of Mandarin II? I frequently find myself tearing out my hair because I am not being given the tools (vocabulary) for successfully negotiating everyday travel situations. In sum, Pimsleur is a great method for learning a foreign language. I just wish the content of the courses were more strongly focused on the practical, everyday needs of independent travelers. After finishing Mandarin I, I felt as though I had a good feel for the language, but my vocabulary was too limited to be of any real use. Mandarin II solves this problem by introducing the most basic and useful structures which weren't included in Mandarin I (For example, "should, have to, never, always, before, after, etc."). It is almost impossible to carry out basic conversations without these structures. Mandarin II also deals extensively with the past tense (which isn't really a tense) to the point where it can be used, more or less, with confidence. Mandarin II is very similar to Mandarin I in lesson structure, pace, and quality. Like Mandarin I, the lessons are intense, and they teach so much in such a short time, but they're also very fun. As I worked through Mandarin II, the tones and pronunciation started to shift to the subconscious level and I could successfully combine two falling-rising tones in a sentence without even thinking about it. It's as if I'm absorbing the language naturally. This would have taken forever without Pimsleur. Even with a personal tutor, the use of time wouldn't have been nearly as efficient. I've also finished Mandarin III (which is also excellent) and I now feel as though I have a good overall knowledge of Mandarin, and my pronunciation is close to perfect (I've been told that I don't have an accent). I am now trying to learning the more advanced aspects of the language through self-study and conversational practice, which is entirely possible after completing this course. I've tried several language tapes and software packages before but this is the one that I've had the most success with. I completed Mandarin I and when I saw that Mandarin II was available, I ordered it immediately. 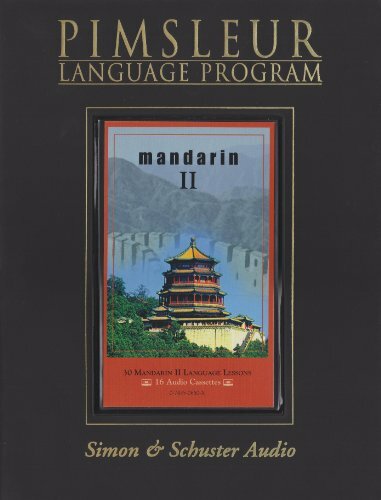 I've completed Mandarin II and now I'm working on Mandarin III. Too bad that's as far as the series goes. I won't say that I'm conversing fluently in Mandarin but the entire series is only 45 hours of instruction so I think you have to be realistic in your expectations. For me, Pimsleur is the right approach. I've made genuine progress and I'm told that my pronunciation is reasonably accurate. For someone with moderate skills as far as learning foreign languages go, as well as having started after the age of 40, I'm quite satisfied. I even have a Cantonese speaking friend who borrowed the tapes and used them to improve her Mandarin! I'd recommend the series to anyone who wants to learn to speak Mandarin. Note that there is no instruction on writing Chinese, only some brief notes on Pinyin. I'd also recommend Modern Chinese from Beijing University for learning Pinyin and the basic components of speech. The Chinese-English Dictionary edited by John DeFrancis is also worth looking into and finally, you can get the Oxford Chinese-English dictionary for Palm OS. I wrote a review on Pimsleur Mandarin I. Excellent set. Waited for II. Now it's out. 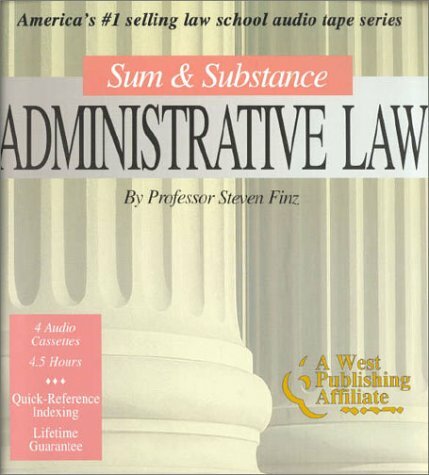 PM II maintains the excellent standards of volume I. Two months after getting PM II, I went to Beijing for a science meeting (for ten days). I was in excellent shape. Nearly everyone understood me: waiters, shop people (bargains galore), taxi drivers, etc. I never quite had the time to master volume II like I did volume I. But the best thing is the diction and sound that you CANNOT get from a book alone. Pimsleur uses stock phrases to a point, and then mixes them and creates new ideas. Sentences do become longer (occasioanlly they are so long I can't remember them to translate -- I am after all driving). It is not a trivial list of slogans. You actually learn. They speak at a pace that forces you to become more fluid and conversant -- but you can replay the units. Of course it cannot mimic the spontaneity of real-life conversations, but it does an excellent job nevertheless. Pimsleur is best if regular opportunities exist to practice. Pimsleur is not that simple, yet it is comfortable and thorough. The different arenas: eating, travel about town, "small talk", are all well chosen. I used all of them in Beijing-- some more haltingly than others, some comfortably naturally. I now hear most tones the first time. I still don't quite stress them strongly enough (I discovered this while there). The down-and-up tone is really emphasized. The daily practice is getting my tongue more and more comfortable with the unusual sounds and twists. I still think it's a bit pricey. I have the convenience of sitting in a college class -- which does NOT give the oral practice that Pimsleur does, but the class does give me a wider understanding of context and word order. I will get Pimsleur III when it comes out. I'm serious about learning the language. I think Pimsleur can deliver a lot, but not everything. It is convenient, CDs don't wear out, and I'll keep reviewing. You need to find supplemental ways to expand the dialog still. I AM a satisfied Pimsleur fan. As an honored physician and teacher, Rachel Naomi Remen has spent a lifetime immersed in the world of science. Yet today, after four decades of face-to-face experience with cancer patients, medical academia, and her own chronic illness, she has come to see that life is best defined not by science, but by mystery. On The Will to Live and Other Mysteries, this bestselling author and beloved "healer of the heart" probes the universal experience of the unknown and reminds us that we all participate in life's mystery. "We have become a culture of control," Dr. Remen begins, "and have traded mystery for mastery." But "life is larger than science," she says. "Science is only one of the tools for healing. Real healing is always a work of mystery." A master storyteller, Dr. Remen shares compelling front-line stories of people who opened to mystery and found healing. She encourages us to pay attention and stay "awake," because the mystery at the heart of life can speak to any one of us at any time. Virtually everything in our society tells us, reminds us, and insists that we are limited, aging "creatures", who live lives between luck and fate, in a hard, unforgiving world... and sadly, many of us have believed it. The truth however, and this will likely ring true in your heart of hearts, is that we are INFINITE and POWERFUL... fun loving gladiators of the Universe; Adventurers just being human, with eternity before us, and the power of our thoughts to help shape it. ... so that you can begin thriving as the giant you are, in a kingdom where you have indeed been given dominion over all things. Blood, sweat and tears AREN'T what it takes to see your dreams come true, imagination, belief and expectation are what's needed... then you're drawn into action, circumstances and "coincidences" that make dream manifestation INEVITABLE. This isn't wishful thinking, it's the way things have always been in time and space. You don't need more education, more connections, or more lucky breaks... you just need to understand the principles and concepts that every prophet and messiah has shared since the beginning of time. Principles that have nothing to do with religion, but everything to do with the truth about who we are, why we're here, and the magic at our disposal. Your dreams are not yours by accident. You have them for a reason, many reasons, not the least of which is to make them come true. Your dreams are what's meant to be... you just have to do your part... but that can be mighty tall order... when you DON'T fully understand what your part is, nor the processes that make dreams come true. With UNDERSTANDING however... you'll find that NOTHING COULD BE EASIER than the way things have always been. Just look around you today at those who are so-called successes. Are they smarter than you? Are they more deserving than you? Have they paid greater dues than you? NO. NO. NO WAY. Whether through their intelligence, or ignorance, usually the latter but it DOESN'T matter, they're actually living in ways that ENGAGE life's principles so that the Universe begins serving them. The good news about this... is that such people are PROOF that ANYONE ELSE can do the same. But here you'll have an advantage... YOU'LL UNDERSTAND YOUR SUCCESSES and therefore won't have to live in fear that they could ever be taken away from you. * the Universe IS conspiring on your behalf. My series outlines dozens of principles that have been around since the beginning of time... principles that are now at play in your own life, whether you know what they are or not, and principles which are ridiculously easy to use. By identifying, understanding and harnessing them... you WILL access the power that literally turns wishes into reality, your wishes. This is a set of twelve audio tapes (or CDs). The over-riding theme revolves around the old saying that "As one thinks so shall one become" with a lot of other secondary themes and principles. 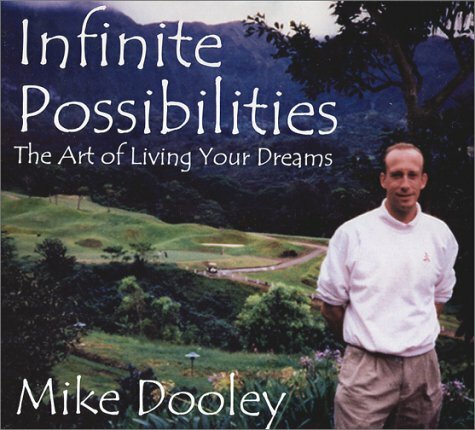 The way in which Mike Dooley speaks and the way he uses logic and deduction makes his ideas quite credible, inspiring and frankly unique compared to a lot of other similar material. The beauty of these tapes is that there are twelve separate themes -- from relationships to beliefs to Q&A and more. Overall his methods and approach are the opposite of dogmatic and are very positive, open-minded and at least for my tastes not overly spacey or new-age. I would have to say that his approach to describing God is one of the most convincing, practical and realistic that I have heard. On Sacred Contracts, Dr. Myss helps listeners take the next step in their personal evolutions, through the use of archetypes as tools for self-transformation. First identified by the legendary psychiatrist and author C.G. Jung, archetypes are symbols for unconscious energies and potentials held in common by all of humanity. Dr. Myss identifies a "tool box" of 12 major archetypal patterns, and explains their roles in the "alchemy of spirituality." Listeners join this respected medical intuitive as she explores how we can identify our personal archetypes, uncover their higher purpose, and then work with them for self-understanding and spiritual development. Multiple Mirrors to See Your Soul and Its Commitments! Sacred Contracts engages you in an extensive, self-exploring expedition to unearth the core ingredients of your unique, spiritual identity. Because there are so many assignments to do in the book and it is so detailed, I suggest you get the hardcover version rather than one of the audio versions. Of all the many books I have read about finding and following the dictates of your own true self, Sacred Contracts is by far the most unusual and detailed. 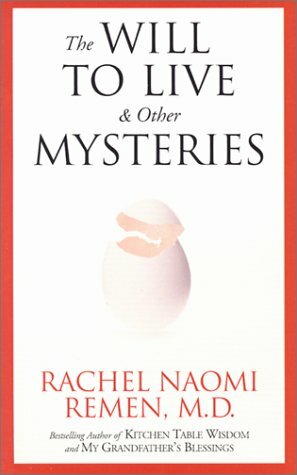 The author calls upon major religious traditions, Eastern ideas about energy centers in the body, Jungian psychological archetypes, and astrology among other sources as context for seeing yourself as unique. Although few of these references are ones that I relate to very often, I was impressed by the way that they centered my focus by helping me see what life roles are not important in my life, as the contrast for seeing what is important. In my past experience with increasing self-understanding, the focus was on what was important. Cutting away the unimportant makes those important areas stand out much more clearly. This is a book that can help you learn for the rest of your life. Unlike many books that are aimed at helping you find "the answer" and then getting you off working with "the answer," Sacred Contracts is designed to help with new challenges and issues in the future . . . as well as the ones you have today. I found myself particularly enriched by reviewing the very long list of potential archetypes that are developed in the book. These are explained by stories of individuals, references to popular books and movies, and examples of how one archetype differs from other, similar ones. As a result, the archetypes and my own reactions to them came into much clearer focus in my mind. When I had read about these in Joseph Campbell's work, I often found them to be distant. Here, they are immediate. Sacred Contracts focuses on "what is our mission in life?" This includes both "where am I going?" and "who will go with me?" The answer is unique for each person to each of these questions. A sacred contract is "your overall relationship to your personal . . . and spiritual power." The contract is "a plan to help you develop your divine potential." This is to fulfill "an agreement your soul makes before you are born." As I read these concepts, I found them to be most closely identified in my mind with the beliefs of Buddhism as they relate to the reincarnated soul. The author takes care to show that Judaism, Christianity, and Islam also contain these points of view. The book contains a lot of material to help you absorb the context of these perspectives. In that sense, I felt a little like I was reading a condensed version of The Golden Bough. After you understand the archetypes and their manifestations, you are directed how to engage in an extensive mental dialogue with and write about the positive and negative forms of each important archetype for you. These will include the four universal ones (child, victim, compromised person, and saboteur) as well as your selection from dozens of others for the ones that seem most important to you (such as addict, angel, bully, gambler, Midas, poet, and thief). For example, you will ask, "Why did I choose this archetype?" "In what way do I feel the archetype serves my Contracts with other people?" The focus of all this remains on keeping "your attention on reaching your highest potential." To do this, you must "surrender to self." Most people will find the list of what to think about and the exercises to do to be a bit intimidating. I certainly did. The work is based on a successful seminar that the author has been developing over many years. So it is intended to take quite a bit of time to do and implement. I suggest that you find blocks of time of at least two hours in length to work on these assignments when you will not be disturbed. If you are single, you might go someplace where you can be alone but see the splendor of nature. If you live with your family, early morning or late at night would probably be the best time . . . while others are at rest. Naturally, if you like what you read here, you could also consider doing a seminar with the author. I'm assuming that that is much more expensive than working with this book on your own. Some people might find it helpful to find someone to do this with, so that you share your results with one another. This could help provide the discipline to keep working on discovering your sacred contracts. May you fulfill your highest purpose in ways that bring great joy and benefit to you and all whom you meet! God bless you. Sacred Contracts is a brilliant! Sacred Contracts is a brilliant synthesis of spiritual insight and psychology. Presumably based on the author's well known workshops of the same name. Sacred Contracts takes Jung's concept of archetypes beyond anything Jung himself might have imagined and brings the notion squarely into the 21st century. The author developed an enjoyable and ingenious process for deciphering your own Contract using a new theory of archetypes that builds on the works of Jung, Plato, and contemporary thinkers. This book is genuinely transformative in understanding the why and what of your inner self. I bought the audio version after reading the written version. Really use both. When I work I use Neurosync behavior modification software to make other improvements. I enjoy self improvement and self enlightenment and I highly recommend both the book and audio versions. Feeling at home with yourself. 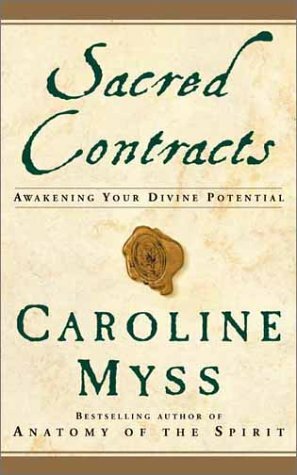 I found Caroline Myss' "SACRED CONTRACTS" to be a warm and insightful guide to investigating one's purpose in life. Myss writes with a great generosity of heart. She describes her book as "a product of my wanting to share with people my insights about our individual and collective life purpose over nearly two decades of working with the energies of the human spirit." Myss explores the idea of archetypes, or energies, that are aspects of our personalities intricately involved in the fulfilling of our purposes. The book functions as a guide to help you identify the key archetypes in your life, so that rather than getting lost in the drama of your life, you can step back and experience yourself as more centered in the big picture. The tone is light and often playful, and Myss sprinkles her discussions with many gems, such as: "real creativity is based on a solid foundation of knowledge and discipline." Her chapter on the "Wizard of Oz" as a symbol of personal transformation is moving and mesmerizing. I had never considered the difference Dorothy made to the lives of the Scarecrow, the Tin Man, and the Lion before I read this chapter. Myss repeatedly underlines the importance of living in the moment: "Fulfilling your highest potential actually means acting on your highest or deepest truth each moment of your life." As an excellent companion book on your road to personal growth, I strongly recommend "WORKING ON YOURSELF DOESN'T WORK" by Ariel and Shya Kane. (Their audio CD's and tapes are brilliant as well.) This simple and practical book is an indispensable guide to living fully in the moment and discovering joy and satisfaction with a consistency beyond your wildest imagination. I have been on a spiritual path for 20 years, and agree that a certain amount of self-discovery is necessary. However, this convoluted,complicated book encourages a level of introspection that can not be healthy. I can't imagine anyone taking this book seriously as coming away anything but self-absorbed, with no real interest in other people, as they have found themselves so archetypically interesting. A great investment for true narcissists! The warm and knowing biography traces Roosevelt's involvement in the politics of New York City and New York State, his celebrated ,military career, and his ascent to the national political stage.Caricatured through history as the "bull moose", Roosevelt was in fact a man of extraordinary discipline whose refined and literate tastes actually helped spawn his fascination with the rough-and-ready world of war and wilderness. Good book for a tough subject to pin down. This book serves as a good introduction to Theodore Roosevelt to either satisfy or stimulate one's curiosity before indulging in a lengthier biography. This is a "short" bio, and not meant to be a treatise on T.R. The author was better with his Penguin Lives book on Woodrow Wilson, but he seemed to have more fun with Roosevelt. As a subject T.R. is especially enjoyable, but more for his forceful character than for any of his objective accomplishments (for which the author notes several, e.g., negotiating the peace between Japan and Russia, and his national conservationist orders, etc.). The author addresses Roosevelt's sense that his presidency was relatively unspectacular, and since war time presidents receive the most historical attention (e.g., leading to positive evaluations for Lincoln and Franklin Roosevelt, but negative for Wilson due to his post war failures), Roosevelt felt himself cheated from his place of greatness due to being a peacetime president. As this author notes, many of T.R. 's beliefs had long lasting value (especially, I feel, his beliefs on the limitations of capitalism as spoken by a pro-business chief executive). Those who followed him, though, soon abandoned these attitudes. The reason for this seems to rest with T.R. He accomplished much emphasizing the forcefulness of his personality and took credit for improvements as being uniquely his. Since he can be the only T.R., his philosophy could not be transmitted to others. When out of office, he was no longer "T.R." and his so-called system collapsed as with a deck of cards. He was ultimately left a shell of his former self. What if Roosevelt had toned down some of his tendencies? Might he have extended his influence over the next administrations and the country? If so, might this have led to a different result in how America influenced the developing European disputes that resulted in the First World War? These are some of the questions that remained with me from reading this book. This is the second volume in the new American Presidents series edited by Arthur M. Schlessinger, and like the first on James Madison, provides excellent, although brief insight into one of America's most fascinating characters. The prime focus of this book is on TR's presidential and post-presidential years. Limited space does not allow for anything more than a brief summary of Roosevelt's early life, which may actually be his most interesting period. Still there is enough to give the reader a basis for understanding Roosevelt's revolutionary power-expanding actions as President. 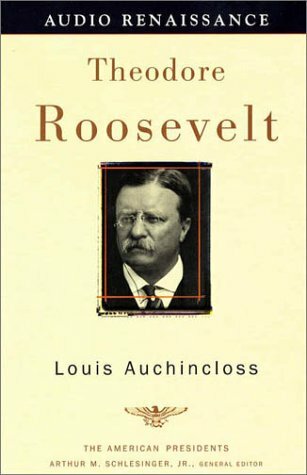 Auchincloss does a wonderful job of filling this short volume with all of the important events of Roosevelt's life while keeping to a very enjoyable and readable style. It is a good introduction to Roosevelt and will leave you wanting to learn more. This slim volume may serve as a excellent introduction to the life of TR, or as a bracing romp through familiar landscape for devoted TR aficionados. The book itself is a little pricey for what you get, however (I hope a paperback edition of this American Presidents series is made available eventually), and it is pretty evident to the informed reader that Auchincloss is merely reviewing the conclusions of previous biographers. Auchincloss does attend to a particularly interesting period of TR's life, i.e. his decline and fall. From TR's impulsive public declaration not to seek a "third" term, the bloodletting in Africa, his quixotic Bull Moose campaign, the misadventure in the Amazon, to TR's death shortly following the death of his youngest son in WWI ("poor Quinnikins"), Auchincloss's volume was for me a tantalizing foreshadowing of what is certain to be a grand event in biography -- the third volume of Edmund Morris's TR trilogy. This book should help keep you satisfied (if only for a few hours) until the release of Morris' next volume. And after you read Auchincloss's TR, you should read his THE RECTOR OF JUSTIN if you've never done so, and also Edward Renehan's THE LAST LION (excellent mini-biographies of TR's sons, fascinating characters in their own right). The author likes TR, and it shows. But then he backs up his judgment with a detailed history of this president. Mr. Auchincloss is not afraid to add his own interpretations, and some of them you may not want to agree with. But they are always well reasoned and therefore welcome. Was TR an imperialist? By modern definition of the term one would answer in the affirmative. He condoned the taking of Cuba, Puerto Rico, Hawaii, the Philippines and the digging of the Panama canal. He built up the fleet and had it sail around the world to demonstrate America?s new might. But he also engineered the peace treaty between Japan and Russia. Was TR a bully? Most decidedly so. He fought hard for what he believed in - and never forgave an insult. But his conduct was built on a basis of honor and chivalry, trying to do what he believed would be best for the people. He took on the likes of Morgan, Gould and Fish because he believed them to be detrimental to the people?s welfare. In the end he outlived himself and his policeman?s ethic. Helped me earn an "A" in Criminal Procedure! 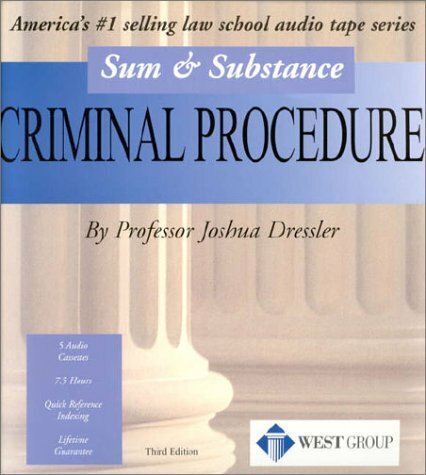 Dressler is awesome!He really knows how to explain the law in concise, understandable terms.If you need help in Criminal Procedure, then these tapes will be your friend! Thought Provoking Book About War. If you are looking for a feel good American heroes book this is not it. "Flyboys" is a very worthwhile and thought provoking book. There are times when it causes the reader to feel uncomfortable as it describes large scale and individual atrocities including cannibalism and mass murder performed by the Japanese that are very distressing to read about. Many of the previous patriotic reviewers I believe found it difficult to face the descriptions of the small and large scale violent and destructive American behavior even though it was dwarfed by the Japanese behavior. The author remained remarkably non judgmental in his descriptions. He tries to put in context the violent behavior, although not to excuse it, by supplying relevant cutural and historic background. The book invites us to examine the contrast between war time and peacetime humanity. Which is really us? Is war time meanness just kept below the surface during times of peace? It reminds us that when hundreds of thousands of lives are lost, that these are the lives of valuable individuals whether American or others. It emphasizes the remarkable heroism and perhaps the naivete of our servicemen particularly our "Flyboys." They were heroes especially because they completely understood the risks they were taking and proceeded out of choice because they were needed. George Bush Sr., as one of them , is featured as a sensitive and lucky(to be alive)hero. The Japanese soldiers were brutalized by their officers and were required to follow orders without question. One gets concerned about group think and herd mentality. How independent are human beliefs and actions? Do we actually choose them or are we mostly a product of the society in which we were raised? We must intuitively know that it is wrong to bayonet a restrained man with a sharpened bamboo pole with the purpose of of causing pain, prior to beheading him while still alive, The officers who ordered this behavior earn our contempt. They force soldiers to carry out their orders as if they were slaves. The Japanese "Spirit Warrier" believed that all orders originated with their Emperor who they believed descended from the Sun Goddess. In a way they were following their faith. Is it right to unquestioningly follow a religious leader or a religious belief ie Jihad,or perhaps to believe that followers of our culture are more worthwhile than the followers of other cultures. We must have known as Americans in the 19th century that slavery was wrong and that women should have the right to vote but it took us a long time to correct these injustices. Were we not deserving of contempt for thoughtlessly following the group think? This is a history of WWII in the Pacific told mainly through a small group of people involved with the battle for the island of Chichi Jima by an author who is a truth seeking patriotic American whose father was incidentally a flag raiser at Iwo Jima. It raises our awareness of the horrors of war. It ends with some optimism and descriptions of forgiveness or at least understanding by memebers of both sides. There is even some real humanity displayed as Private Iwatake, who developed a personal relationshop with a subsequently beheaded cannibalized "Flyboy" named Warren Earl Vaughn, when phoned by the author, doing his research, answers the phone with, "Hello, this is Warren." He had changed his name to honor his dead prisoner. I read about 20 of the earlier reviews of "Flyboys" as I struggled through the book this past week. Some of the negative comments are deserved, such as referring to the late Gen. Curtis LeMay as "Curtis" in half or more of the references to him. This is bizarre and distracting. Whether a result of careless editing or author-torial stubborness, it does not work. Also, I agree that the term "Flyboys" as a collective description of pilots, gunners and radiomen is over-used. I also agree that the book perhaps tries to cover too much history and abandons its cover story for too many pages at a time. Some condensing and reorganization would have enhanced its power. That said, many of the other negative comments seem to be unfair. Yes, Mr. Bradley dwells on America's mistreatment of Indians and Filipinos at length, including prisoners of war. Yes, he gives disgusting details of how our napalm drops on Japanese cities destroyed civilians indiscriminately. But he is not making up those facts. And to emphasize how easily combat and its stresses can make soldiers willing to do horrible deeds is not exactly the same thing as excusing the acts. 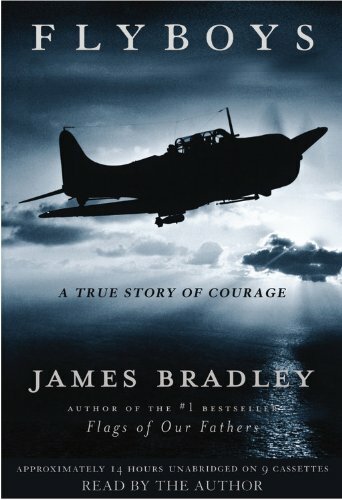 I have read my share of WW II books, as I near 60 years of age, and "Flyboys" is the first one which sensibly explains how the Japanese fighter rationalized not only his willingness to die in already-lost battles, but his contempt for those from other cultures who chose to be prisoners of war instead. To explain the Japanese viewpoint, again, is not to excuse the acts. Nor is it unpatriotic. "Flyboys" describes disgusting acts of brutality and cannibalism, and is ultimately a very sad tale. It is not a work that should be tackled by readers who are emotionally fragile. As most people reading this review will already know, Mr. Bradley's dad was one of the Iwo Jima flag-raisers, wounded physically by Japanese soldiers in that fight, and wounded in some ways psychologically by the whole of his wartime service. The fact that his son went off to study in Japan, and developed much respect for the residents there, must have been painful and puzzling for the father. But I don't think any intelligent reader of Bradley's earlier book, "Flags of Our Fathers" or of "Flyboys" can question the younger Bradley's respect for our troops or our country. One of our strengths as a representative democracy is that we can love our nation for having humane ideals even if we are imperfect in living up to them every minute. And we can learn from injustices committed in our names by our government or military agents, and change our ways. I stuck with "Flyboys" right to the end, flaws and all, and I'm glad I did. It gets more powerful as it goes on, and it does finish the story of the eight Chichi Jima American POW's as much as it could be completed, so long after their 1945 deaths. We live in a time when we may be facing 30 years or more of sporadic war with terrorists and the countries which fund and hide them. To read a book which makes war and its (initially) unintended horrors seem like a step to be accepted only with the greatest caution is not a bad thing right now. While Mr. Bradley is not the smoothest historian/writer on the block, he shows promise. In some ways this book is better than "Flags of Our Fathers" despite its problems of style, language and organization. For sure, it is more important than the previous book, because the Iwo Jima battle story had already been well-covered in earlier works. Former President George Bush came close to being a prisoner on Chichi Jima, and plays a small part in this book. If he cooperated, and if he thinks Jim Bradley has done a service to the country with his research into the horrors of war in the Pacific from both sides, I won't argue with him. He was there, I was not. I'm glad I read "Flyboys" but unlike "Flags of Our Fathers" which I've read three times since it was first published, I won't be reading it twice. Its medicine is too strong for a second dose. I am very offended in the tone that book takes in regard to comparing Japan's Chinese campaign with our final offensives in Germany and Japan. With all of the well written reviews I do not have much to add except to say that Japan was dead in the water and would have fought to the last man, woman and child. I also think that the nuclear bombs definately did create a new level of war and by doing so expedited the surrender. I am tired of people trying to apologize for America, the fact remains if they did not engage us then they would not have faced our wrath. The Chinese on the other hand recieved the barbaric wrath of Japan without so much as provoking them. I suppose we are supposed to draw a parallel in our manifest destiny or turn of the century Phillipine campaigns that were both in a very different era. By taking away all of Japans budget to make war America gave them a head start on creating a modern economy unparalleled in the world. This book gets three stars for having some nice solid sections when it stays on task and does not get to preachy. If it wasn't for that I would have flunked it. The author has talent though and the read is pretty good being that is so severly flawed. First off, I find it surprising that this story was not told sooner, as it involved a future U.S. president (I suppose much of the information was not available until recently). I give Bradley credit for telling the story of the airmen who gave their lives in service to our country, but I'm not sure what to make of Bradley's commentary on U.S. policy before and during World War II. It's true that atrocities happen in war, and the actions of our military should not be whitewashed. It seems wrong to me, however, to try to draw moral equivalency between the aggressors, and those who fight that aggression at great cost to themselves so that others may enjoy freedom. I also reject Bradley's suggestions that all atrocities committed by the Japanese were a direct result of earlier U.S. actions, however wrong those actions may have been (Bradley's description of the Japanese corruption of the Samauri code seems to contradict his own assertions regarding this point). I rate "Flyboys" 3 stars for telling a story that should have been told earlier, but I have reservations about the revisionist history in the book.